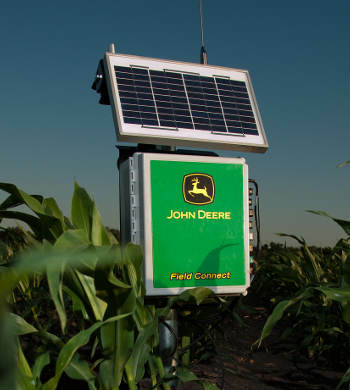 Intuitive and Easy to Use, John Deere Field Connect comes with the full support of Complete Agronomy Solutions. Now, you can know when yield-robbing moisture variances occur, plot to plot and field to field. Field Connect is a straight forward solution that uses field-installed probes to measure moisture and the root system of the plant throughout growth at various depths. The information is then sent to CAS, Inc. where analysis takes place and recommendations are made. All information is secure and confidential to view or pass on to whomever the customer wants to give the information to.